As part of a generation which has grown up with the concept of format wars – VHS vs Betamax, PC vs Mac, Blu-ray vs HD-DVD and so on – which side of the fence you come down (or whether you even care about the existence of a fence in the first place) can say a lot about who you are, or at least how you are perceived by others. Are you an early adopter, or just one of the crowd? Are you a technical purist (Betamax) or is some combination of user-friendliness, lower cost and greater choice and availability of hardware more important to you (VHS)? Or are you loyal to one brand, regardless of the technology? Historically, these battles have often been fought out over relatively long timescales and have resolved themselves (or at the very least settled into some kind of equilibrium) before they really impact the mass market. For instance, the video recorder format war played out over the course of more than a decade, with the JVC-originated VHS system eventually triumphing over Sony’s Betamax. But most consumers hedged their bets, uncertain over which format to go for and put off by extremely high costs – long before the days of £30 VCRs in Tesco, prices could easily exceed £1,000 – driving a rental-dominated market in which they could avoid committing to a definitive choice. Conversely, the battle to become the standard format for high-definition DVD discs resolved itself within three years before HD players had ventured much beyond the realm of early adopters. The major film studios threw their weight behind Blu-ray and Sony incorporated the format into its Playstation 3 – and that was that. Interestingly though – well, interesting if you’re a bit of a geek like me – the latest high-stakes format war is one which is evolving at astonishing speed and involves millions of everyday users, not just early adopters. I am, of course, talking about the four-way battle to control the smartphone market. 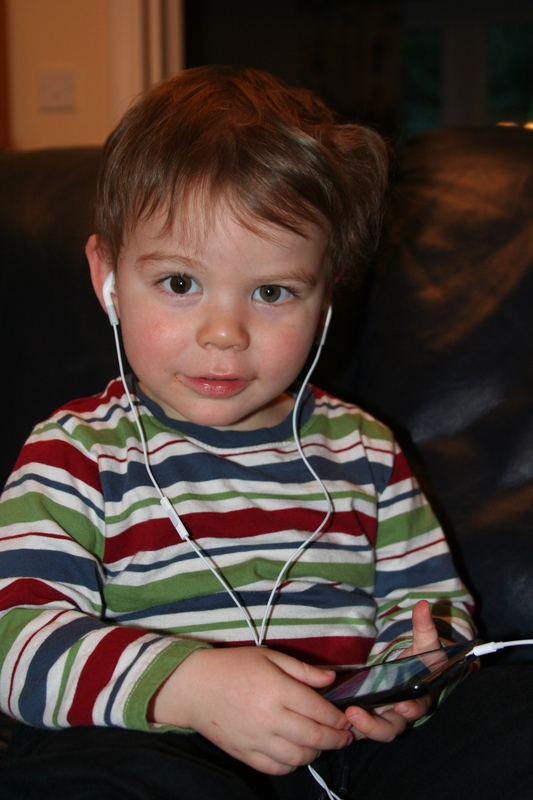 iPods are child’s play – literally! As an owner of an iPhone 4 (and an iPod and an iPad), I sit firmly in the Apple corner. To its devotees – which some liken to members of a cult – Apple is simply the coolest brand out there, and one which – antenna scare stories notwithstanding – is trusted implicitly by its users in the way we once trusted banks to keep our money safe, or politicians to act in the wider public interest. I’m not in that camp which regards Steve Jobs as a messianic figure leading us to the promised App Store, but I do love the company’s ability to consistently raise the bar with iOS-powered devices which are intuitive to use – even a two-year old can easily operate one, as Zac demonstrates on a daily basis – and represent a fantastic marriage of form and function. Current generation Apple products are triumphs of style as well as substance. Regardless of any technical discussion over the relative merits of the hardware and operating system – I’m geeky, but not that geeky – there can be no doubt that, with the launch of the original iPhone in 2007, Apple lit a fire under the nascent smartphone market, making it both accessible and desirable for consumers just as mobile internet and social networking applications were really starting to take off. And while Apple remains a closed shop in terms of its hardware – like cereal maker Kellogg’s, it doesn’t licence its hardware to anyone else – it possesses by far the broadest offer in terms of software, with its App Store containing over 300,000 third-party applications totalling in excess of seven billion downloads at the time of writing. That’s basically one app for every man, woman and child on the planet. In terms of competition, RIM‘s market-leading BlackBerry has been to business users what Apple is to consumer markets. For a period in the middle of the last decade, BlackBerry was to thrusting power executives what the Filofax was during the mid to late-Eighties. 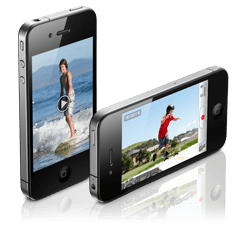 But that image has been tarnished somewhat as the Apple-led competition has surged up behind it – and in many cases beyond it – and it is difficult to see how RIM can match Apple in terms of continuing to develop its proprietary operating system. And then, of course, there are Google‘s Android, which powers the phones of a wide-range of third party manufacturers, and Microsoft‘s recently launched Windows Phone 7. In totality, Android phone sales are now selling at a faster rate than iPhones, although Apple’s 28% share of the total smartphone market still dwarfs Android phones’ combined 19%. And Android’s App Store sales are more like a single Golden Delicious compared to Apple’s orchard. As for Microsoft, it remains to be seen how much traction the new Windows platform will generate, although early reviews have been positive, and big name manufacturers such as HTC, Dell, Samsung, LG and ASUS are already on board. Who will ultimately come out on top in this multi-billion dollar global market? I’ll leave it to people far more knowledgeable than I to assess the technical merits of the respective platforms. But the reality is that this is a battle which will probably be won on consumer perception rather than technical specifications and performance results. Which is why I particularly like the graphic below, which was produced by the website C-Section Comics and summarises how iPhone, Android and BlackBerry users perceive themselves and each other. There is a certain degree of undeniable truth about the caricatures, and how these archetypes evolve and grow (or wither) will play an influential role in determining who comes out on top in the smartphone war. In many respects it doesn’t matter who wins, because regardless of your allegiance the fierce competition can only be a good thing for users. And it is the fact that the real battle will be fought over consumers’ hearts and minds – as opposed to who can put their ones and zeroes together in the most effective way – which makes the outcome so difficult to predict. Posted in Other stuff and tagged Android, Apple, Betamax, BlackBerry, iPhone, smartphone, VHS, Windows Phone 7. Bookmark the permalink. Wait until I show you my shiny Windows Phone 7 in the flesh, you’ll see Apple is actually behind now. Kinect is going to blow away the Wii and PS3 also 🙂 No bias here honest! I’m sure the new 7 phones are great – I’d be very interested to see yours – but how long until Apple comes back with iOS5? And how long until there is an App Store even remotely comparable to Apple’s one? I think that’s the thing for many people – as long as the tech works well enough, it won’t matter to all but the geeks whether Microsoft’s, Google’s, RIM’s or Apple’s operating platform is any better – but it will be the availability of software and the overall image of the brand which will be decisive. Apple has traded off that ever since the iPod and commands a price premium in the market as a result – although with the competition now so heavy-weight in the phone market, it’s hard to see how it can maintain that.